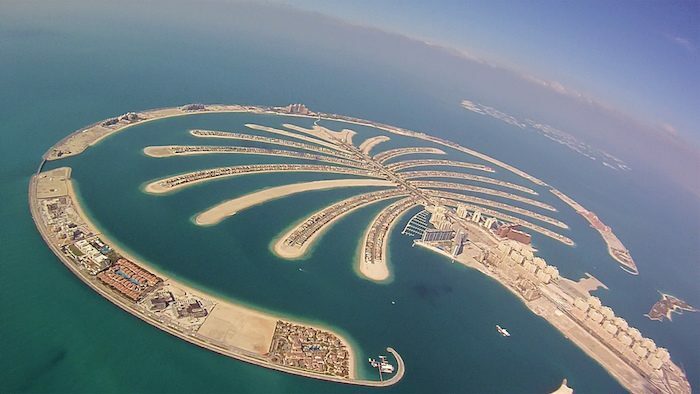 The Palm Jumeirah is the palm shaped, man made resort center of Dubai which juts into the harbor between the Marina and Al Sufouh Beach. The views here are unbelievable, especially if you like to take stock of ritzy hotels. Although it is accessible only by monorail, the best running is along The Crescent, the semi-circular road which forms the outer edge of The Palm. A public walkway follows the road, which adds up to about 11 km in total. If you don’t want to go all the way out to The Crescent, there is also a nice running track in Al Ittihad Park, at the center of The Palm’s “trunk,” which totals about 2.7 km. The park also has some public workout stations if you want to round out your workout.